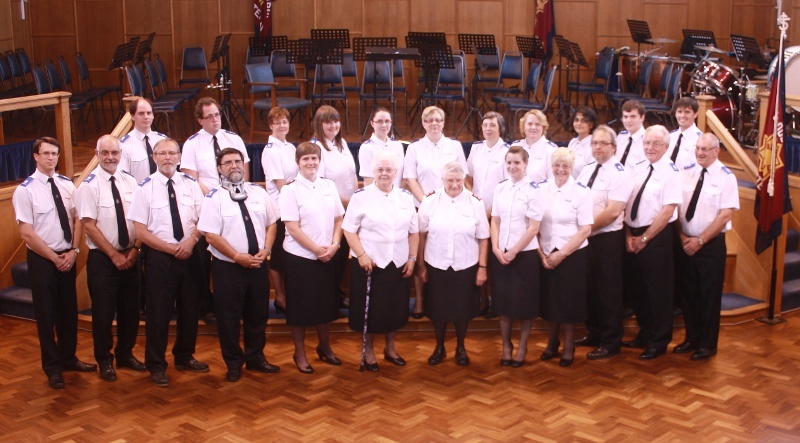 The members of this mixed voice choir are all members of The Salvation Army Church in Gloucester who come from various backgrounds but are drawn together by the strength of their Christian commitment. In 2002, the Songsters celebrated the 100th anniversary of their formation. With a repertoire ranging from a cappella to gospel, the Songsters, led by Songster Leader Phil Webb, are fully able to entertain their audiences — but their aim goes further than mere entertainment. They always aim to communicate, through their music, the Good News of Jesus Christ. 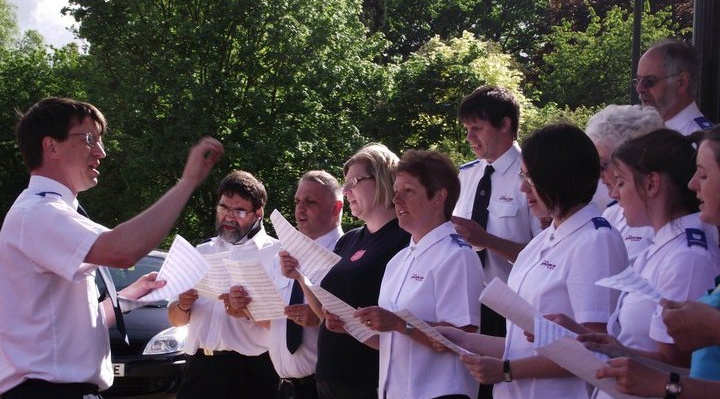 In pursuit of this aim, the Songsters sing at a number of engagements (as you can see from the list of events below), in many differing venues, in addition to their regular contributions to the Sunday services at The Salvation Army in Gloucester. Equally at home on the concert stage or a chapel, the Songsters are delighted to sing God's praises wherever and whenever the opportunity arises. If you would like to invite the Songsters to sing at an event you're planning, please contact our church office administrator who will be pleased to put you in touch. Copyright © 2001-2019 Gloucester Corps of The Salvation Army - a Church and registered Charity in England (214779), Wales (214779), Scotland (SC009359) and the Republic of Ireland (CHY6399). All rights reserved.